The alien Predator is a popular Halloween costume for all ages, especially since the remake and the crossover Alien Vs. Predator. 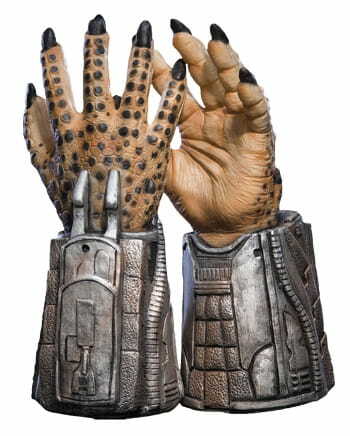 The Predator Small gloves are perfect if you want to go to a costume party as a Predator. Other science fiction costumes and movie disguises can be found here in the horror shop, because we costumes for every occasion. These Predator Gloves Small are great for alien parties, alien motto events, and sci-fi conventions that are all about alien vs. alien. You can fight Predator.